By: Zack Plair, MSU OPA. Photo by Megan Bean.  STARKVILLE, Miss.—Among strong high-tech competitors, a Mississippi State student with a simple, yet ingenious, idea won top honors for the fifth annual Entrepreneurship Week in the College of Business. Jerald Williams, a junior mechanical engineering major from Grenada, won the $10,000 grand prize Friday [April 22] at the Tellus Operating Group E-Week final start-up competition in McCool Hall’s Taylor Auditorium. Through his start-up, TreeTop Outdoors, he developed a prototype for a metal stand with hooks at the top that will allow hunters to more conveniently carry and store their gear when they are hunting. The start-up Currentel—Raygan Necaise, a junior electrical engineering major from Kiln; Joseph Cuty, a senior electrical engineering major from Kiln; and Dylan Jaye, a senior software engineering major from Bay St. Louis—placed second for its farm management app, FarmCharm, and received $3,000. MakerSync—developed by Michael Lane, a junior mechanical engineering major from Amory; Dillon Carley, a freshman liberal arts major from Brandon; and Nicolas Kleiderer, a sophomore computer engineering major from Southaven—took People’s Choice honors and won $250. Also competing was OmniLabs, a tech-based start-up developed by Ben Lewis and Shane Clark, both graduate students in physics, to improve physics education. Representatives for each start-up gave a 10-minute presentation to a panel of judges Friday before taking a few questions about their product and business models. 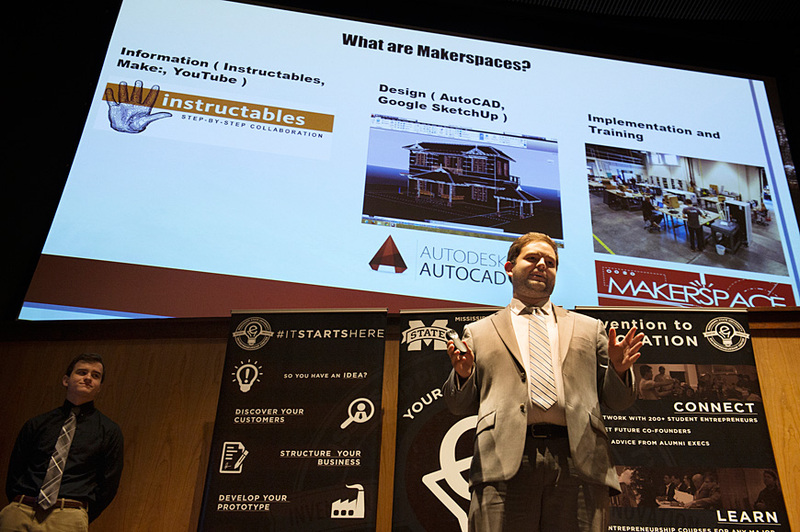 All four start-ups won preliminary competitions throughout the week to qualify for the finals. Williams said he formed his start-up idea while duck hunting in the winter because he had to walk 40 yards back-and-forth between his shooting position in shallow water and the bank to access his gear. He began building the steel prototype for his invention in his uncle’s machine shop in Grenada, and now has a tool with provisionally patented hooks that can hold his gun and all his other gear while he is hunting. Though his target audience is waterfowl hunters, he said any hunter could use it. With his E-Week winnings, Williams said he plans to begin marketing his product to big-box outdoor retail outlets, as well as develop a lighter weight aluminum prototype for which he can begin direct sales. He can make the stand for about $7, he said, and he aims to sell each unit for $30-35. This year, 22 start-ups competed throughout E-Week, including conceptual, prototype, e-commerce and growth start-up contests. E-Week also saw the College of Business dedicate its new Center for Entrepreneurship and Outreach, which supports student, faculty and staff start-ups at MSU. Hill said the field of start-ups competing each year keeps getting stronger and more diverse.